“You mean I can get a discount on shoes?” It may have been a little dispiriting for the experts of Webuyanycar’s new online Negotiation Academy, having talked to a room full of female journalists for 90 minutes about how to get a good deal on a new car. But this was the first question, rising as a chorus from the lipsticked ranks. Tarlok Teji, a retail expert from Manchester Business School, had shocked us all. After all, in the UK haggling is a bit common. It’s what people do at car boot sales. But, he pointed out, we are getting more used to going after a deal, checking out comparison sites and asking people to match a price. Think gas and electricity, holidays and phone deals – definitely houses. So why not anything else? Specialist in social psychology, Dr Sandi Mann, had been out in the shops trying it, with great success. Saying no to someone is harder than saying yes, she points out, and you can have a laugh with someone while you haggle. If they say no, why be embarrassed? You’re never going to see them again, and they’re stuck with a lot of unsold stock. In car dealerships, they expect you to ask for a discount. Unfortunately that means they’re pretty practised at negotiation. Maybe we need to go and haggle for some Jimmy Choos to get some experience before facing them. Webuyanycar’s videos and bullet points are a good start for someone who has never asked for a discount or bought a car. I particularly liked the idea of playing Good cop, Bad cop with my husband (although apparently it works best as Bad cop, then Good cop). I’ve never had a poker face when looking at cars; a flashing light seems to appear over my head announcing “I want it! Please overcharge me!” So I guess that makes me Good cop. I’ve fed back to the organisation that the people they are aiming for need some signposting to the likes of CAP, Parkers and What Car? I think people need to understand the finance deals they will be offered, too. It’s too tempting to take out a Personal Contract Purchase that allows fools like me to drive a car they can’t really afford. Otherwise it seemed a very generous thing to do, to spend so much money setting up a service to help people buy, when Webuyanycar is about selling, but that’s the angle. 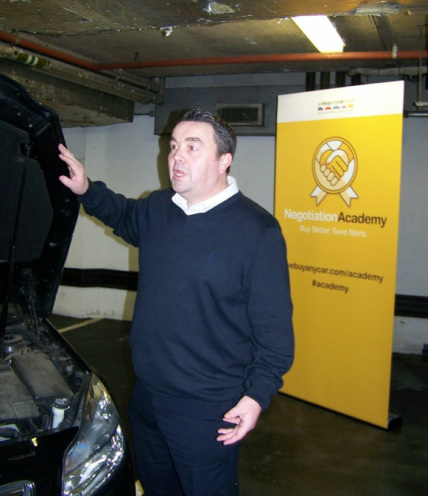 The Negotiation Academy advises you to separate the sale of your old car from the purchase of the new one. This prevents the dealer offering you a discount, then knocking the same amount off your trade-in. 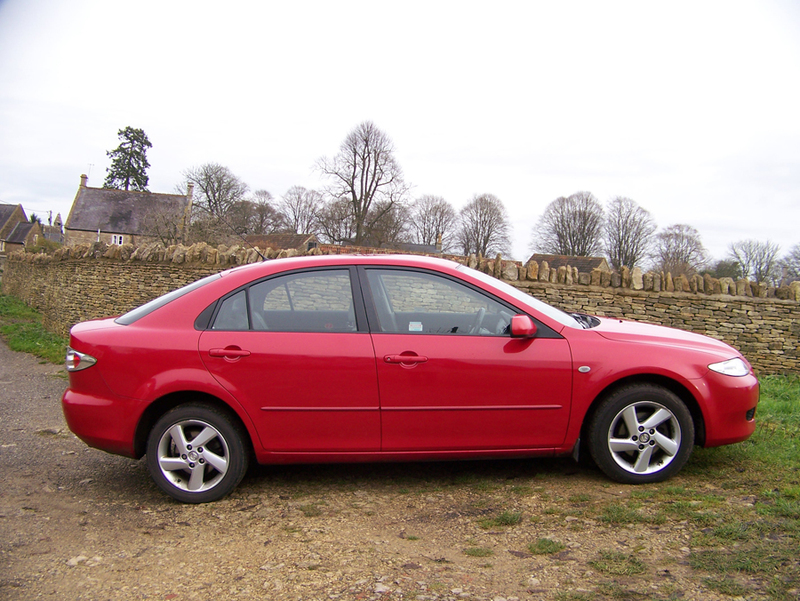 One solution, obviously, is to sell your car to Webuyanycar first and have that cash to put down as a deposit. If you do trade your car in, take a trade guide with you and establish the trade-in price before negotiating a deal on the price of a new one.